On December 22, 2017, President Trump signed into law H.R. 1, originally known as the “Tax Cuts and Jobs Act.” The new law is the biggest change in US taxation in over 30 years and is the culmination of a lengthy process in pursuit of business tax reform in the United States. Although U.S. tax reform has been discussed for years in the United States, it was introduced and rushed through the Republican controlled Congress in just 7 weeks. The legislation includes substantial changes to the taxation of individuals, corporations, and multi-national enterprises resulting in an overall deficit in the US of approximately $1.456 trillion over a 10 year span. A permanent reduction in the corporate tax rate from a top rate of 35% to a flat rate of 21%, immediate 100% expensing of capital investment, changes to the deductibility of interest expenses, and a multitude of other changes to the corporate tax rules. Fundamental changes to the taxation of multinational entities, including a shift from the current system of worldwide taxation (with deferral) to a hybrid territorial system, featuring a participation exemption regime with current taxation of certain foreign income. A temporary new deduction for certain individuals, trusts, and estates with respect to “domestic qualified business income” of pass-through entities and sole proprietorships. Temporary reductions in the individual income tax rates, accompanied by new limits on itemized deductions (such as the deduction for state and local taxes), and other temporary changes to the individual income tax rules. As taxpayers begin processing the law, many Canadian businesses wonder what impact US tax reform will have on their business. On the top of their minds may be the question of whether to expand into the US and further penetrate the giant US marketplace. In the past, given that the US federal corporate tax rate of 35% was amongst the highest in the world, Canadian businesses were many times reluctant to set up formal US operations even if the majority of their customer base was in the US. Now, with the US federal corporate tax rate being reduced to 21%, a taxpayer (once state taxation is factored in) will likely pay a net rate of tax in the US which is lower than or on par with the Canadian tax rate. As such, a Canadian businesses that previously avoided establishing a formal US tax footprint primarily to minimize their overall effective tax rate may now reconsider whether they want a more formal presence in the US. In addition to the reduction in the tax rate, the new law also provides incredibly favorable expensing provisions, albeit temporary, with respect to capital assets. Taxpayers can expense the full cost of many property additions in the US, such as computers, machinery and even certain leaseholds and components of buildings, as part of the tax cuts to promote investment in the US economy. These expensing provisions allow for a 100% depreciation deduction for the cost of the property, which could reduce taxes payable or even create a taxable loss to a US taxpayer. Among other favourable provisions for Canadian businesses looking to expand into the US, are tax simplification provisions for small businesses. For the interest deductibility provisions, a small business is defined as a business that has average gross receipts of less than $25M over the prior three years. Small businesses are not subject to interest deduction limitations imposed on other businesses. As a result, taxpayers can leverage their US expansion with debt. The interest payments allow the US business to repatriate earnings back to Canada without withholding tax, which may be appealing to many Canadian businesses. Combining the benefits of the reduced 21% corporate tax rate, the 100% capital asset expensing, and interest deductibility provisions for small businesses, the time to look at US expansion for many Canadian businesses may be now. Businesses should contact their local US tax advisor to discuss the impact of US tax reform on them. 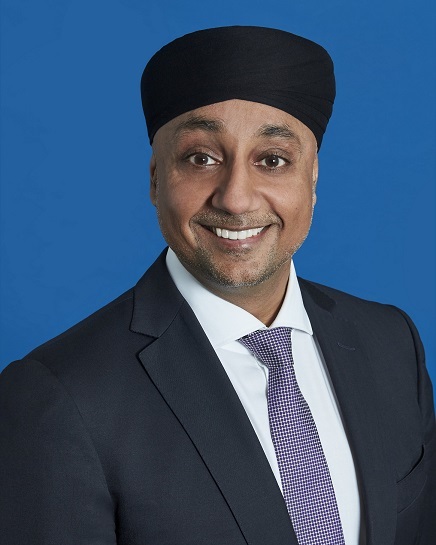 Ranvir Chana, BCom, LLB, MTax, KPMG Canada is a Partner in the US & Cross Border Tax Services group of KPMG Canada and has over sixteen years of US tax experience. Ranvir primarily assists Canadian multi-national corporations and governmental pension plans with US corporate tax matters and treaty optimization issues, relating to both federal and state level compliance, planning, and structuring.